Congratulations! You’ve passed your driving test, you’ve just got your license and you probably can’t wait to hit the road. However, there’s a reason why insurance premiums are higher for new drivers – because they are more likely to have accidents. So here are 33 smart driving tips for new drivers. Right after you pass your test, you have a card that says you know how to drive. You might feel totally confident or you might feel a bit nervous, but while that card means you’re a qualified driver, it doesn’t mean you’re a good one. Here are some tips for improving your skills right after you pass your test. 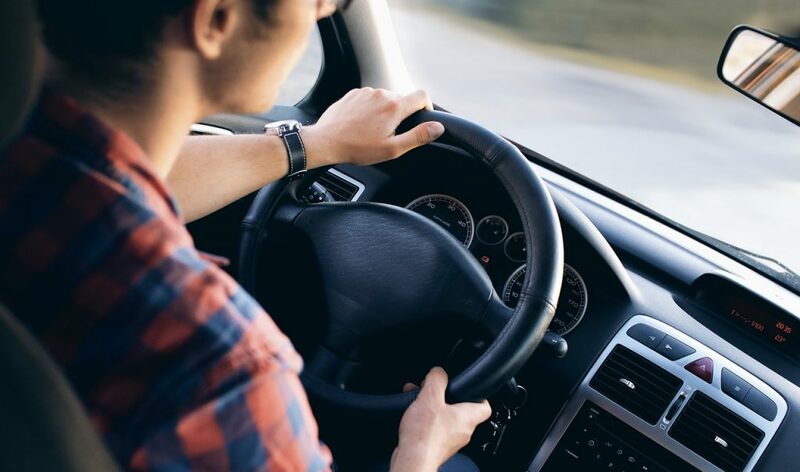 You’re now allowed to go out on your own, but before you start driving right into the center of a busy city or setting off on long-distance road trips, make sure you have some practice first. Before tackling anything too ambitious, spend some time driving on quiet roads where there is little traffic. 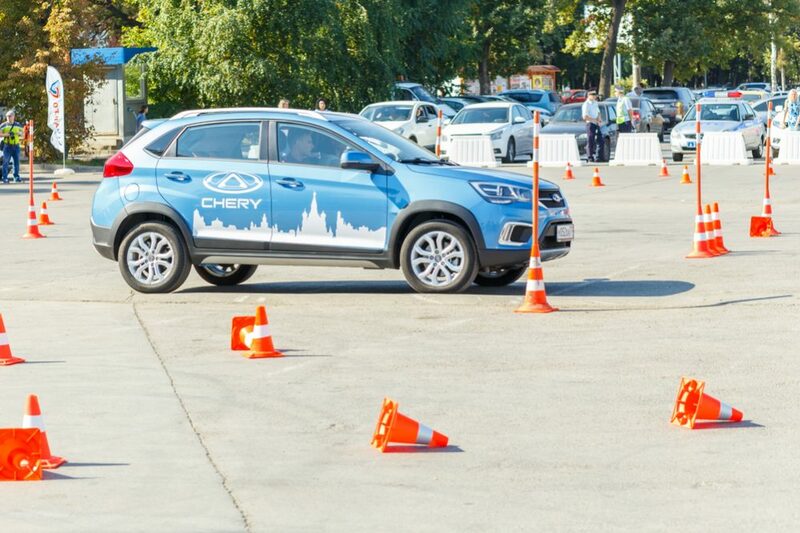 This will give you chance to improve your driving skills before you go anywhere more challenging. 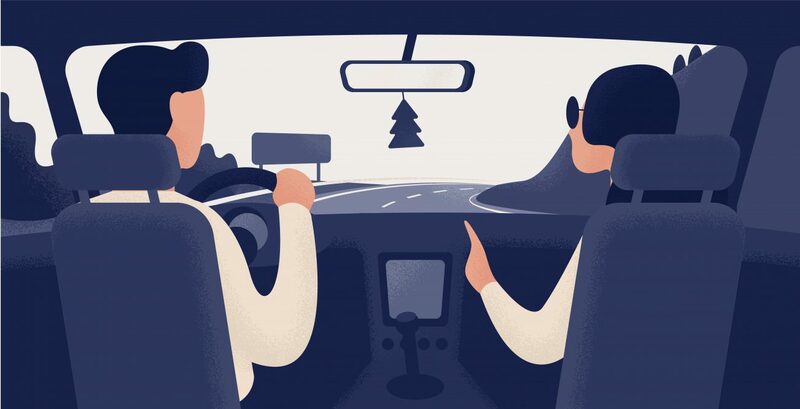 Driving without an instructor for the first time can feel a little strange, and for some people, it might even make you a little unsettled. For this reason, for the first couple of trips out on the road, it’s better to take someone with – preferably an experienced driver. This way, you will feel less anxious, and the passenger can also help if you are unsure what to do or where to go. There will also be someone to support you if you find yourself in any difficulties. 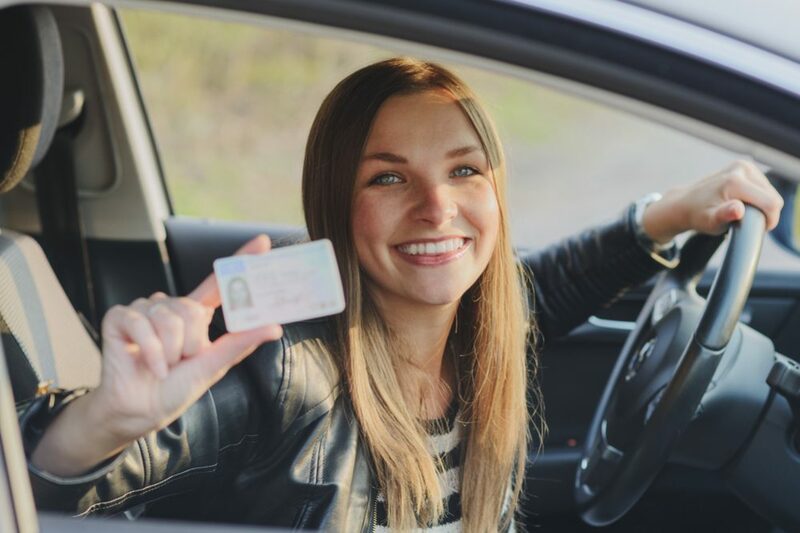 Many new drivers make the mistake of believing that a driving license automatically makes them a great driver – but actually, they still have a lot to learn. 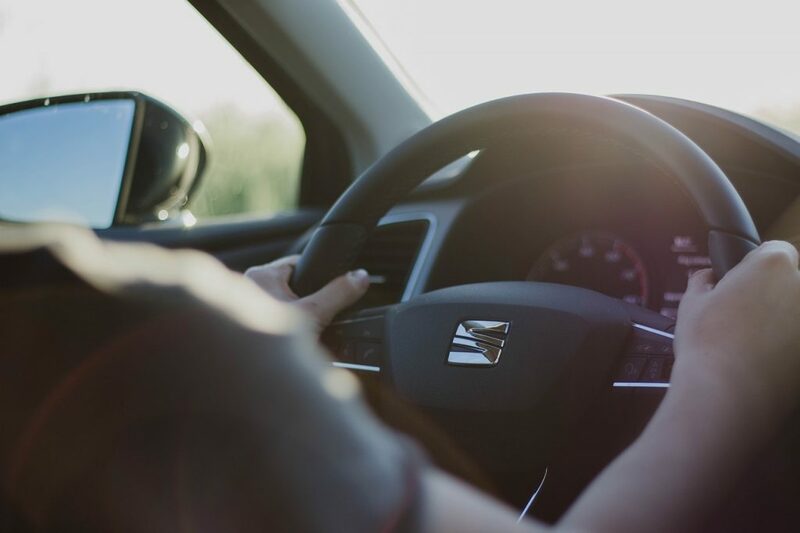 Just after you pass your test is when you are at the highest risk of having an accident, but you can lower that risk by taking further driving courses. Advanced driving skills lessons, highway driving lessons and defensive driving courses online can all be worthwhile. They can also help lower your insurance premiums – and even remove points from your license if you have any. After you pass your test, consider displaying a “P” plate to let others know you are a new driver. 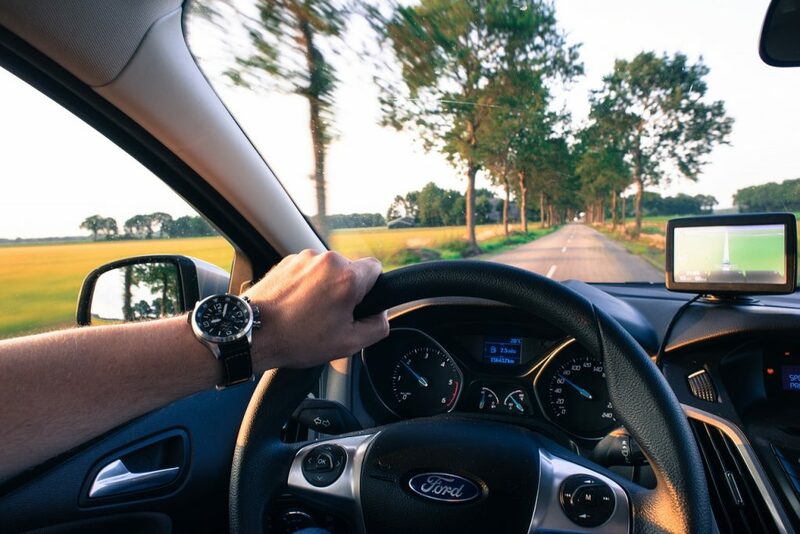 Here are a few important tips about your general driving skills. They are important for everybody, but especially for new drivers. 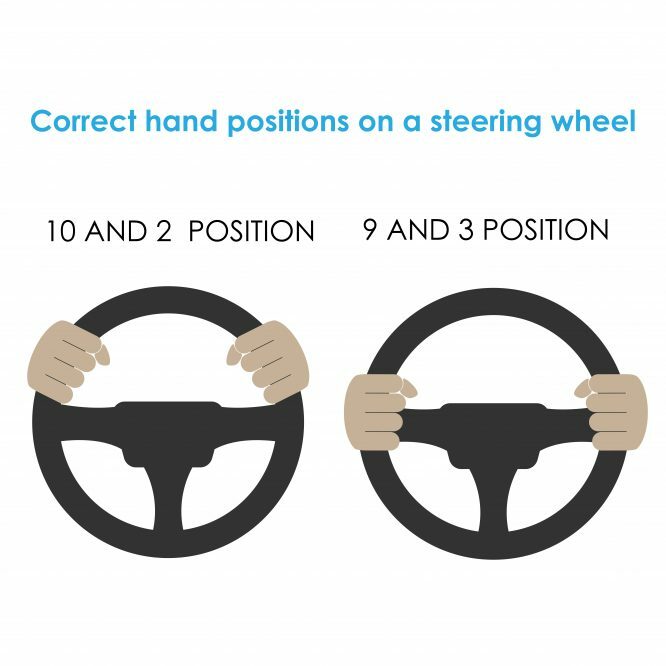 The best position for holding the wheel is with your hands at 9 o’clock and 3 o’clock or 8 o’clock and 4 o’clock. This position gives you the greatest combination of stability and control, and it is also the best position to make sure your arms don’t become tired. A common mistake for novice drivers is to set off without adjusting the mirrors first. 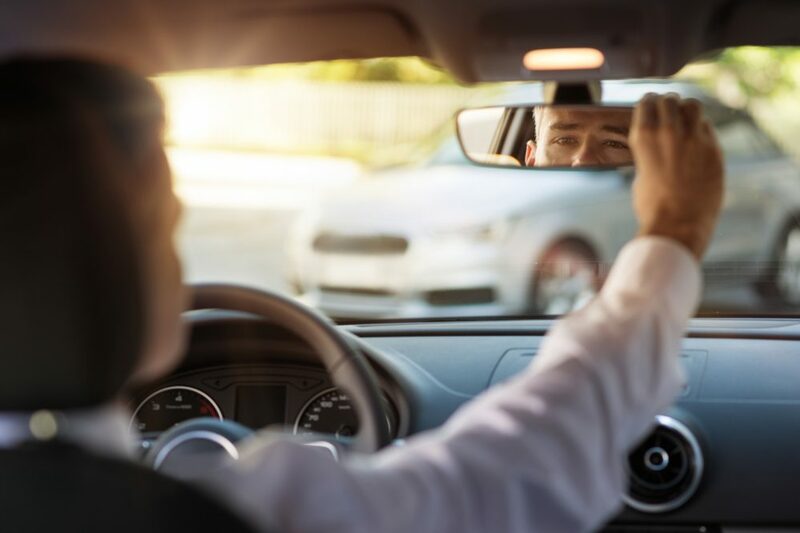 For safe driving, you need to rely on your mirrors to see into your blind spots – but once you start driving, it is dangerous to try to adjust them. Do it before you start driving. 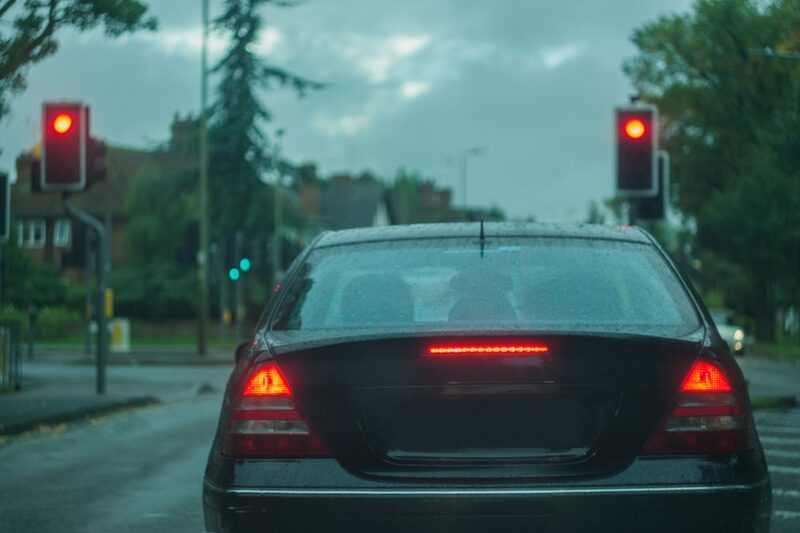 There is nothing more frustrating for other drivers than someone who doesn’t use their indicator light to alert them of their intentions – by letting other drivers know what you are about to do, you help everybody avoid accidents. Try to make a habit of using your indicators even when there is nobody else on the road. 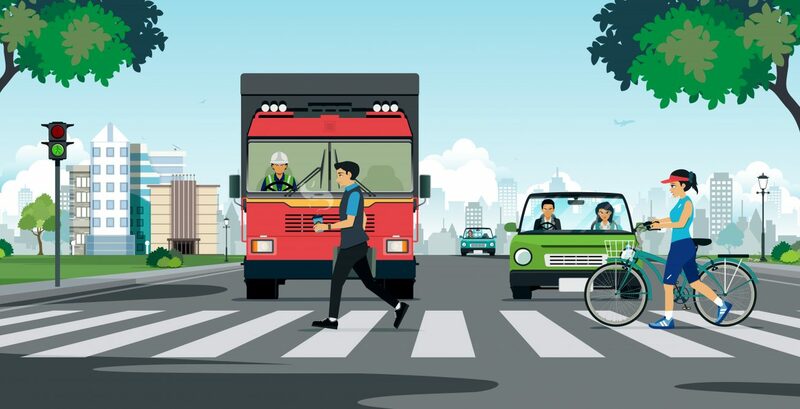 You never know if there is a car or a pedestrian that you haven’t seen – and developing the habit means that using your indicators will quickly become second nature. One of the most nerve-wracking moments for new drivers is merging with traffic. The key is to be patient and not to make any sudden movements. 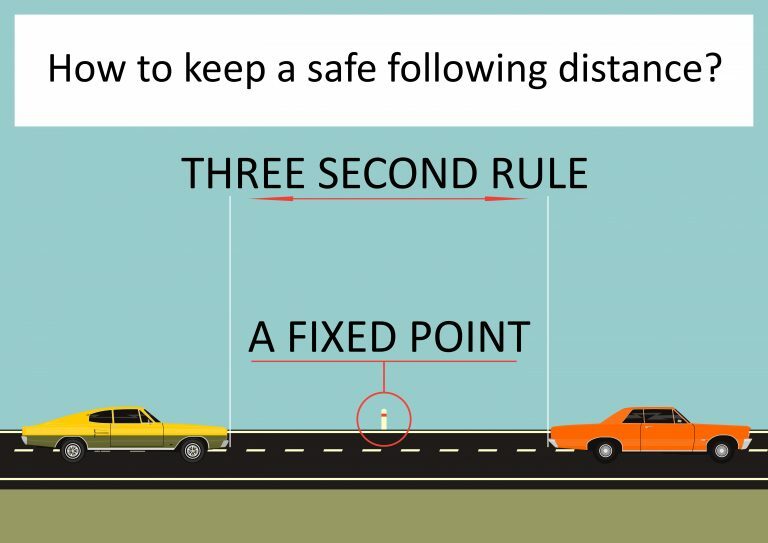 Adjust your speed to the traffic, use your indicators and drive calmly into the other lane when there’s a gap. 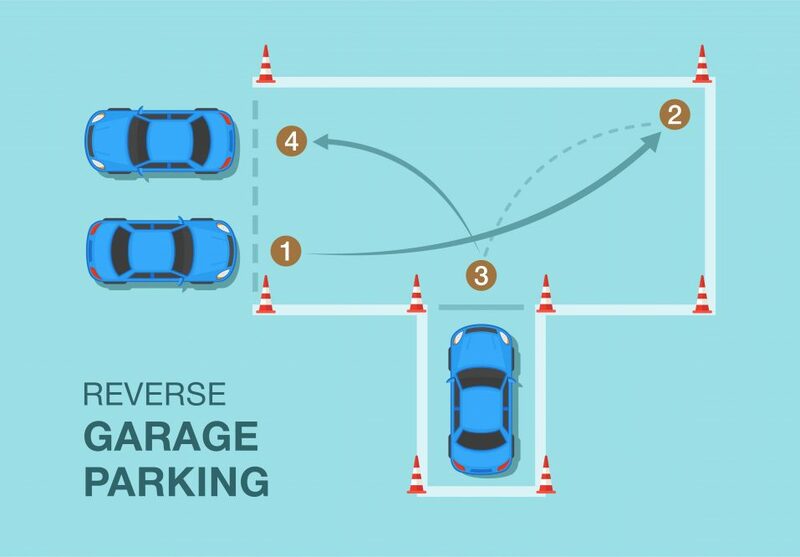 Reverse parking can cause inexperienced drivers to panic – and that usually ends up making the parking maneuver even worse. You can help with this by finding somewhere quiet to practice. That way, when you have to do it in town in front of other people, you are less likely to become flustered. Seriously, don’t speed. Stick to the speed limit. 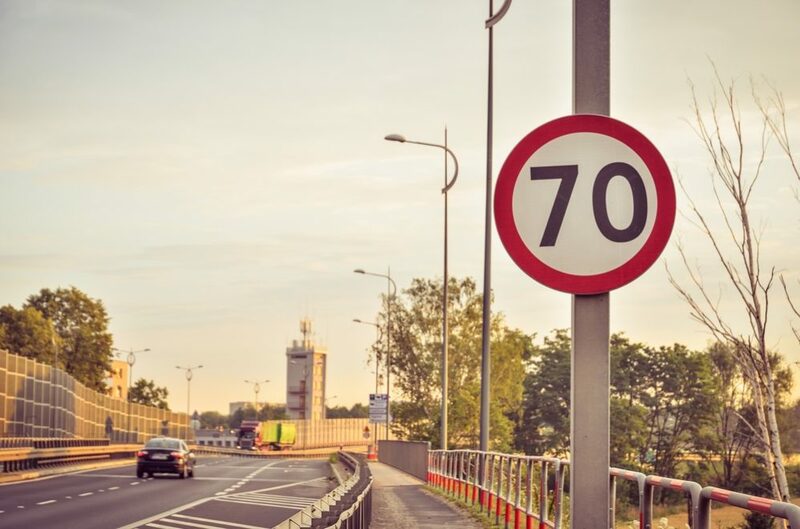 Even for experienced drivers, speeding is dangerous and is one of best ways of increasing your risk of having an accident. Driving is not a race and speeding is not cool. If you have an accident, your insurance will increase, and you may seriously injure yourself or others. It’s not worth it. 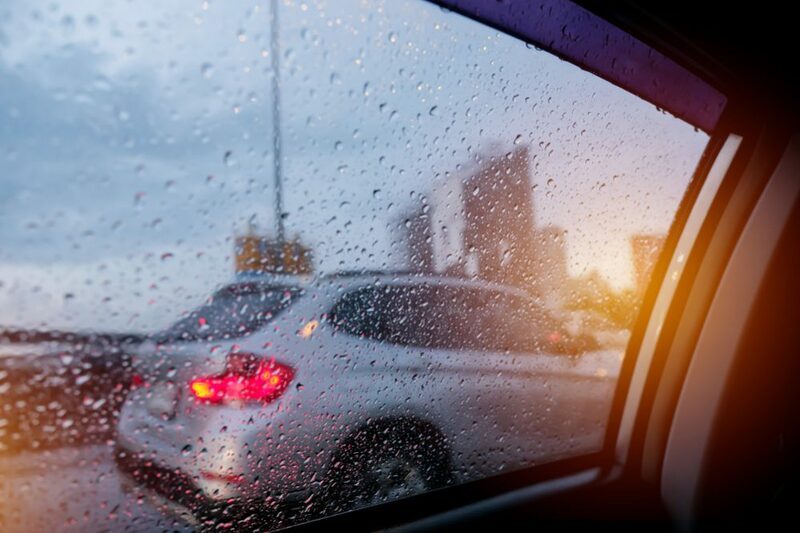 Another common mistake that rookie drivers often make – and even more experienced drivers for that matter – is to not adapt their driving to the conditions. 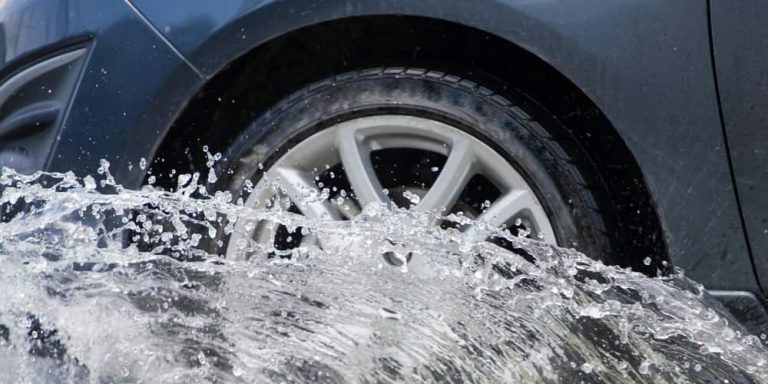 If it’s raining, you need to drive more slowly, if it’s raining hard you need to drive even more slowly – and if it’s snowing or icy, you really need to slow down a lot. 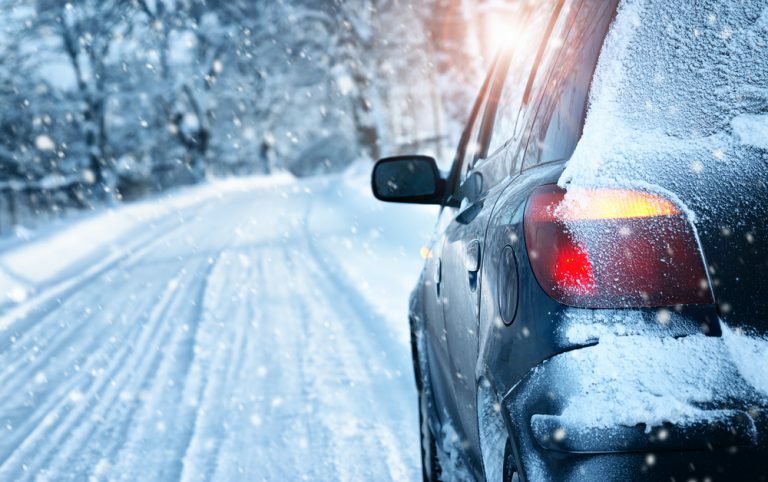 If the conditions are really bad, consider not driving at all. One of the best things you can do to avoid being involved in an accident is to spot potential dangers ahead before they happen. Keep your eyes on the road, pay attention to what is happening ahead – and be prepared to slow down if you see potential trouble in front of you. The left lane is not the “fast lane”, it is for passing. Don’t sit cruising in the left lane the whole time, just use it when you need to pass other cars – do your driving on the right. Most importantly, don’t pass on the right. This is dangerous since it is unpredictable. The way we avoid accidents is by anticipating what other cars will do, and by driving unpredictably, you risk causing a crash. 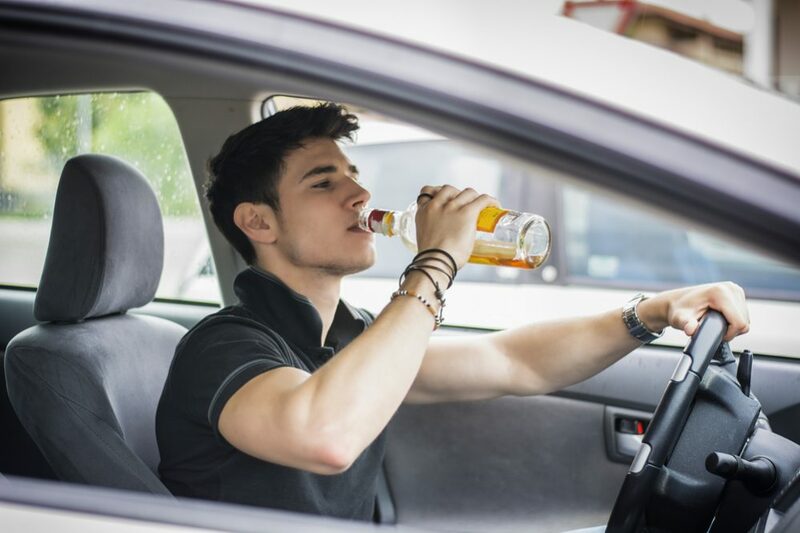 The key to safe driving is to drive defensively. 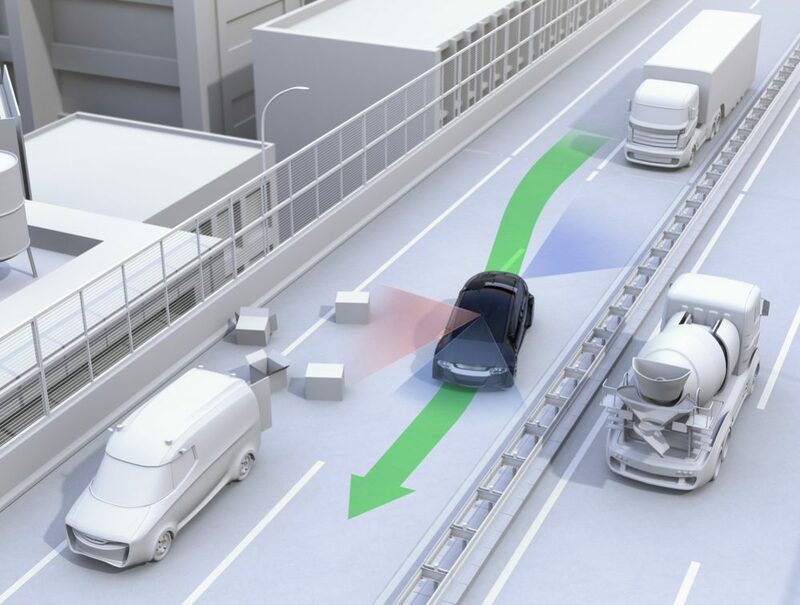 This means giving other cars plenty of room, anticipating what they are going to do and driving accordingly so they have plenty of space and time. 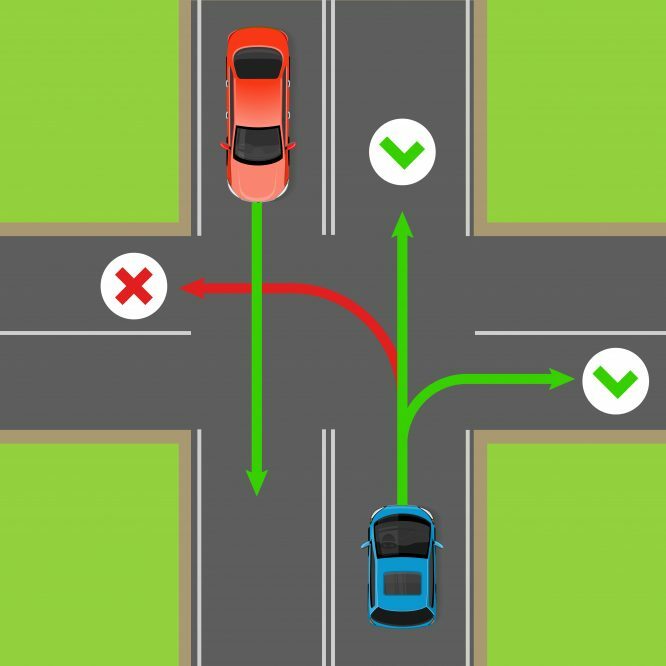 Part of driving defensively is also not assuming that every other driver is perfect and that they know or will stick to the rules of the road. 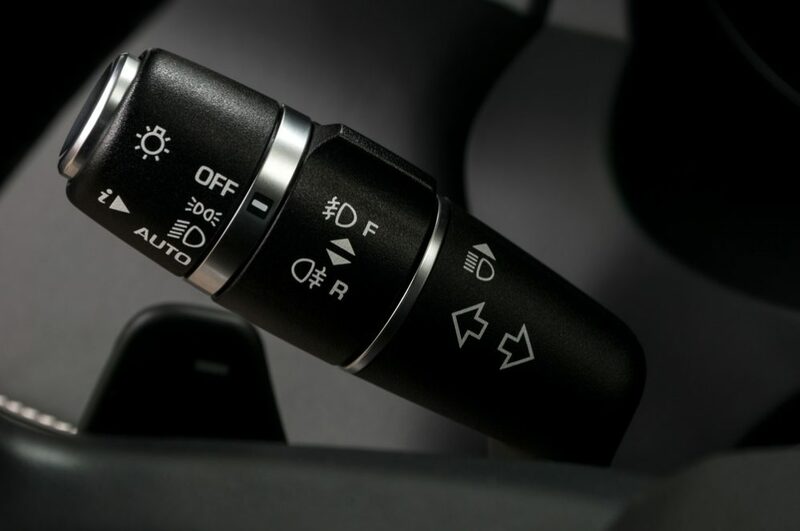 You need to be ready for other cars to turn suddenly without using their indicator lights, to brake sharply or otherwise make unexpected or erratic movements. 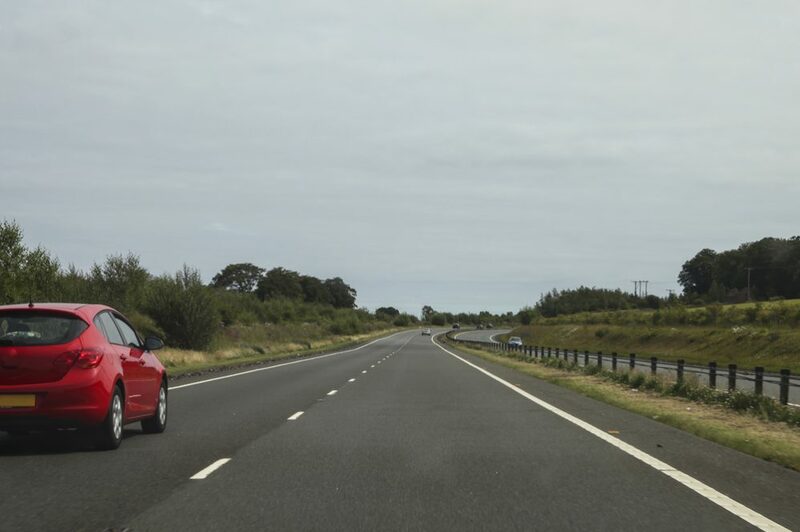 Most drivers on the road are competent but some are not – since you can’t know who is a good driver and who isn’t, make sure you give everyone plenty of space so you have time to take action if somebody else does something dangerous. 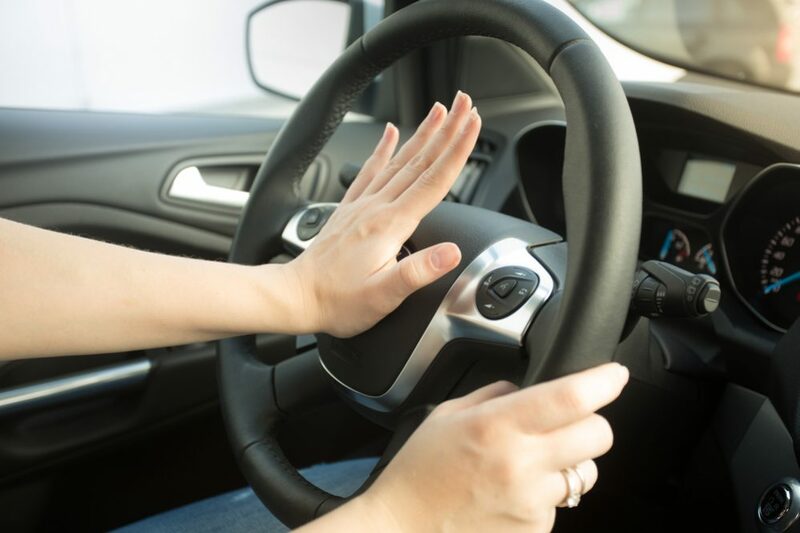 Some people don’t seem to realize this, but the car horn is not designed to express your anger toward other drivers, it is meant for alerting other drivers to your presence – for example when approaching a blind corner. Yes, nowadays sounding the horn long and loud is the road version of delivering a mouthful of fruity invective, but you should avoid using it for this purpose. At best, it means you have lost your cool – at worst, it can cause road rage and even violent confrontations. 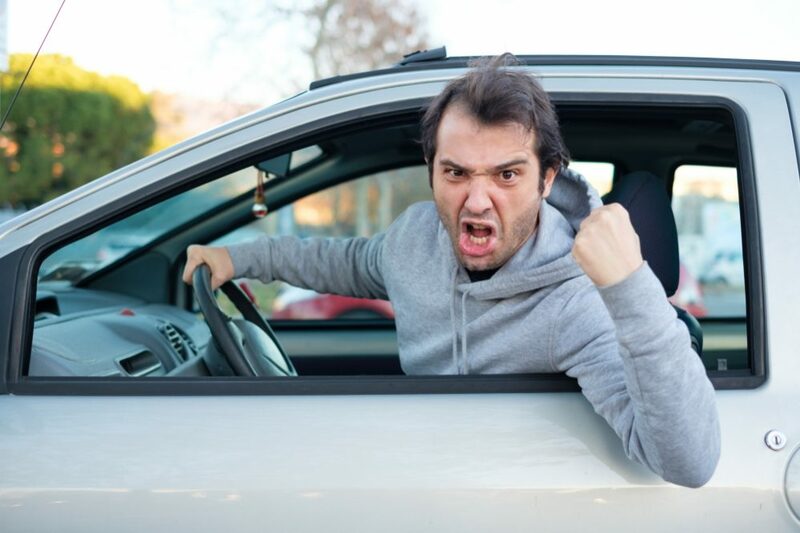 If you meet another driver who is behaving aggressively, know how to diffuse the situation. Don’t make eye contact, don’t make gestures and don’t do anything that may escalate the situation. Try to let the other driver pass you and drive away. 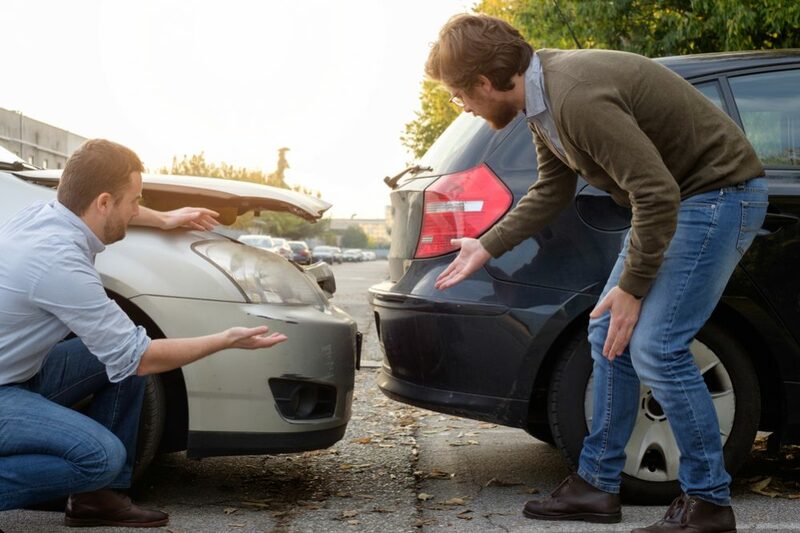 If the situation escalates, you may become involved in some kind of “fight” on the road. If the other driver starts acting very aggressively and tries to force you off the road or any other similar behavior, the best thing, if you can do it safely, is to call the police. Needless to say, you shouldn’t be rude aggressive or provocative yourself. 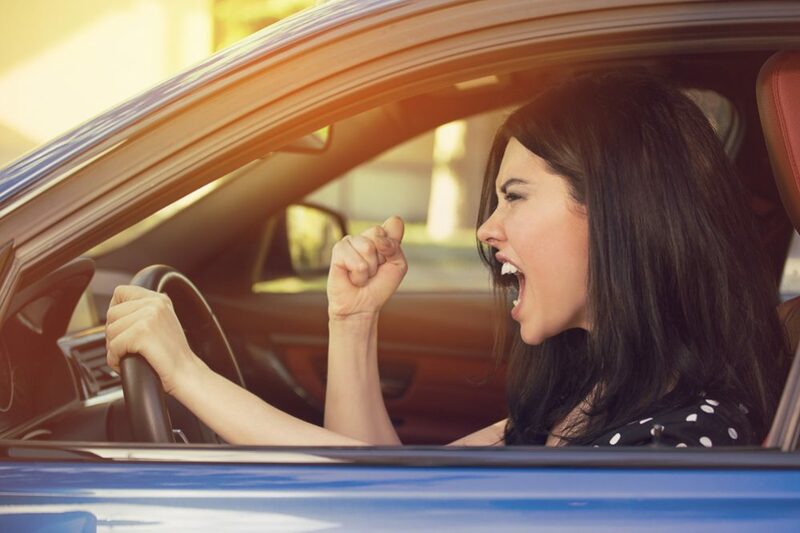 Road rage is a common phenomenon, but if somebody cuts you up, starts tailgating you or does anything else that causes your anger to rise, try to control yourself and stay in control of the situation. Remember, not all actions on the road are deliberate. Perhaps somebody cut you up by mistake or simply made a bad decision. Remember that nobody is perfect and that you are quite capable of making a similar mistake or poor decision. If it happens, just let it go and drive on. We’ve mentioned speeding already, but you make sure you obey all the rules of the road, not just this one. We have rules for a reason. Cars are large, dangerous machines, and the only way everyone stays safe is everybody follows the rules. 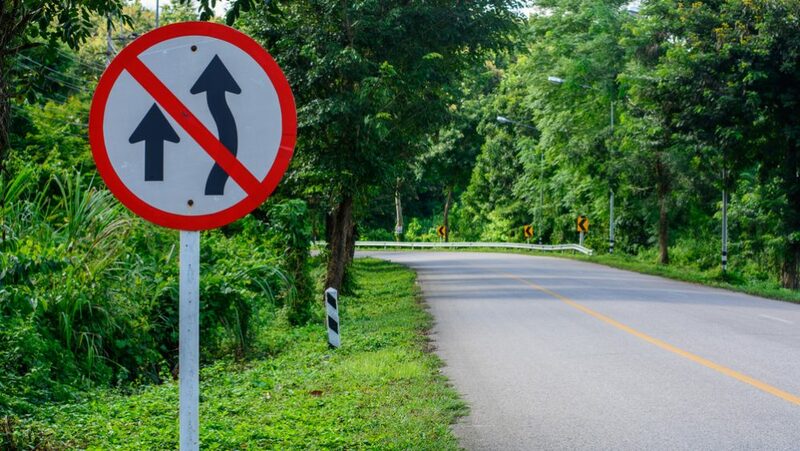 Make sure you stop at stop signs, take notice of what road signs are telling you and generally make sure you obey the rules. It is when people disregard the rules of the road that accidents happen. One thing you should definitely avoid is speeding up to beat the lights before it turns red. This is an extremely dangerous practice. When the lights start to change, you should stop. By speeding up and perhaps passing just as they turn red risks causing a serious accident. Another dangerous habit to avoid is tailgating. This comes under the category of driving defensively, but it is so important that it warrants a separate mention. If you drive right behind the driver in front of you, you have no time to react if they brake suddenly or make any other sudden movement. Some drivers, understandably, become very angry when people drive too close behind them. It can make them feel threatened, and some people will even hit their brakes to send you a message to back off – this is a very risky and dangerous action, and you don’t want to encourage it. Tailgating can also make drivers feel anxious, and anxious, flustered drivers are more likely to make mistakes – if they make a mistake, you could both end up being involved in an accident. For these same reasons, if someone is tailgating you, don’t ever hit the brakes suddenly to warn them off. If they don’t react quickly enough, they may end up plowing into the back of your vehicle. Braking suddenly is also a sure way to set somebody’s blood boiling. This is exactly the kind of thing that causes road rage, and you never know who is in the car behind you. If you set off somebody’s temper, they may not be able to control it. If you feel pressured or threatened by somebody tailgating you, the best thing to do is to slow down gradually and let them pass. If they don’t pass, look for a place to pull over so you can let them past you. For all drivers, it is very important not to be distracted, but for new drivers, it is even more vital. Here are a few tips to help you. We don’t need to say any more about this one. Texting and driving at the same time is extremely dangerous, so don’t even be tempted. Never make phone calls without a hands-free kit while you are driving. 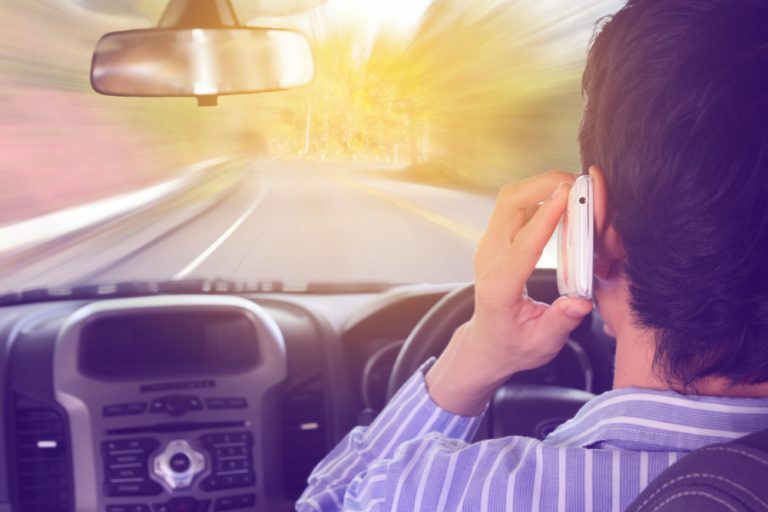 If you have a hands-free kit or Bluetooth in your car, it can be ok – but really, the best advice is not to do it at all. Don’t play around with the entertainment system. If you want to listen to music, put some on and leave it. It might not sound like much fun – but turn the music down when you drive. Loud music is very distracting, and you may not hear horns or other things that can alert you to danger. Know where you are going before you start and don’t drive along with a map in front of you. The same is true of modern GPS devices. They can help you find your way, but they can also be very distracting. You may also interested: How to Reduce Fatalities From Large Truck Crashes? Here are a few general tips that will also help keep you safe. 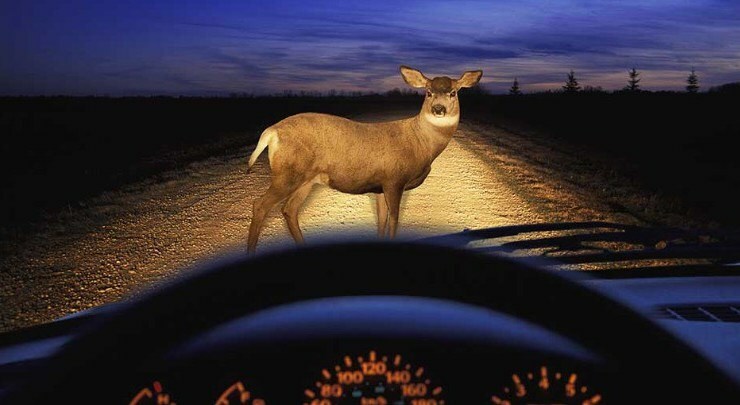 “Rubbernecking” is when people stare at accidents or other distractions as they drive past. It is a well-established fact that accidents are often caused by people staring at other accidents and not concentrating on the road. However much you are tempted by curiosity, resist. Don’t stare at accidents and concentrate on driving safely. Another issue with new drivers is that as soon as they find themselves behind the wheel, they think they’re Ayrton Senna. They start accelerating and braking as hard as they can and throwing themselves into the corners. 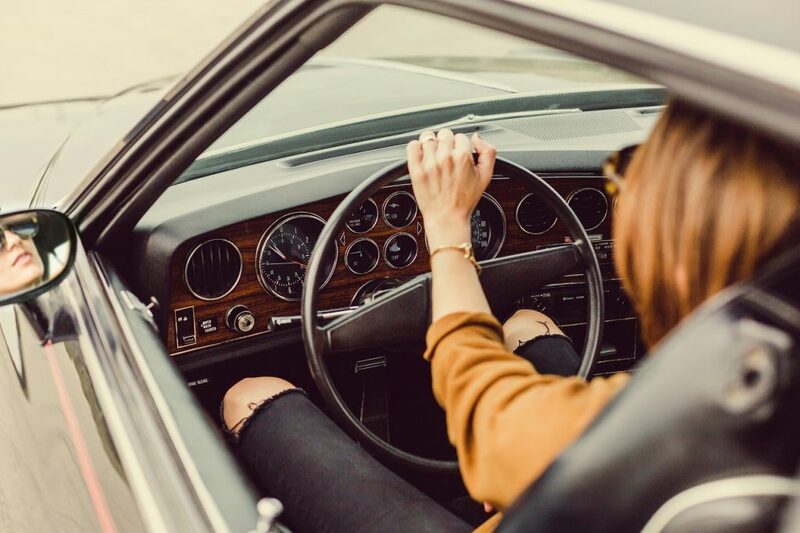 This might be a fun way to drive, but it’s going to burn through your gas much quicker, wear out your brake pads – and make it a very uncomfortable ride for your passengers. Try taking it easy. Accelerate and brake smoothly, don’t attack the bends and try to give your passengers a comfortable ride. Save your racing skills for the racetrack. A very important point that is so often overlooked is never to drive tired. Driving when feeling sleepy slows your reactions and increases the chances of you making bad decisions. Even worse, it is very easy to fall asleep behind the wheel. 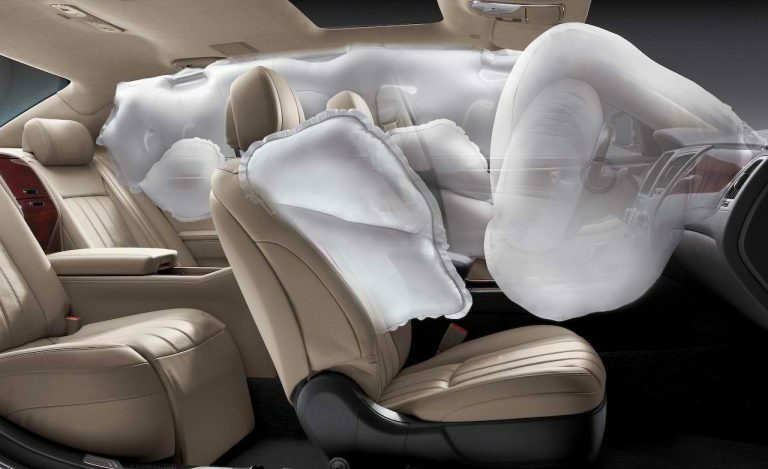 Think of when you’re a passenger in a car and how easy it is to doze off. It’s the same when you’re driving, except you’re responsible for steering. 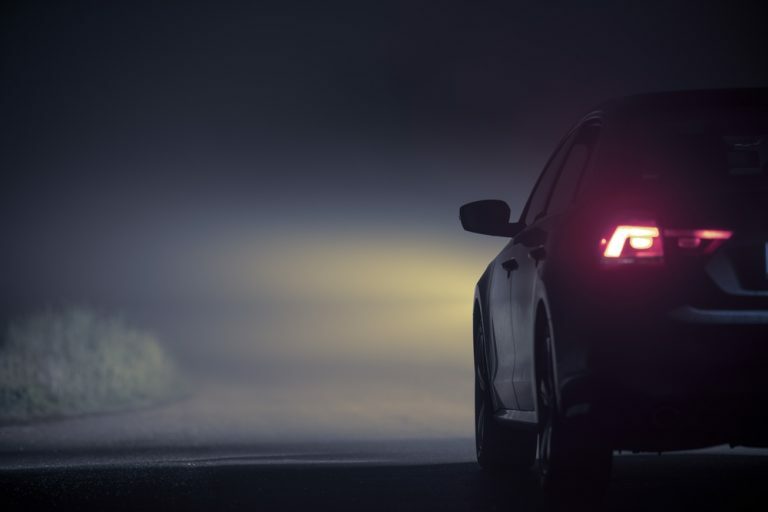 Don’t believe you can make yourself stay awake – just avoid driving when you need to sleep. Drivers falling asleep at the wheel are a common cause of fatal road accidents. This really goes without saying, but you should never drink and drive. Nor should you ever drive when under the influence of drugs. 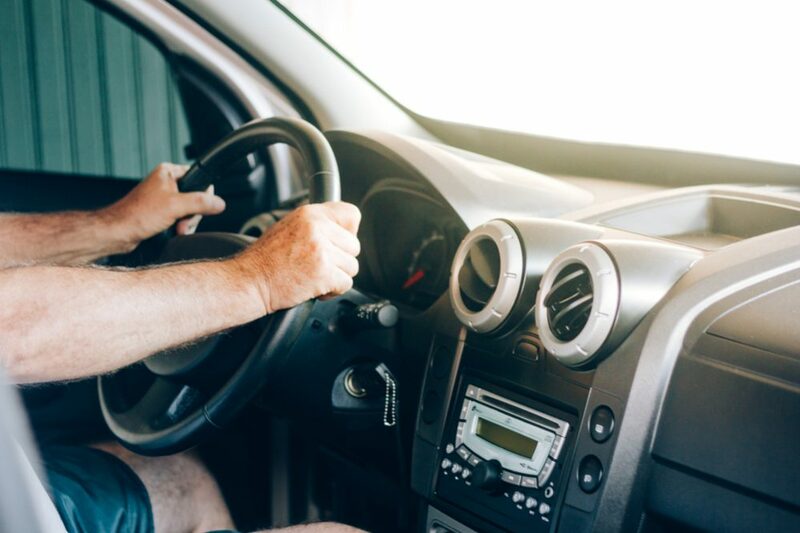 Something you might not think about is driving after taking medication – but if your medication makes you drowsy, you probably shouldn’t drive after taking it either. Remember what we said about other drivers not necessarily being the best behind the wheel? The same also goes for cyclists. 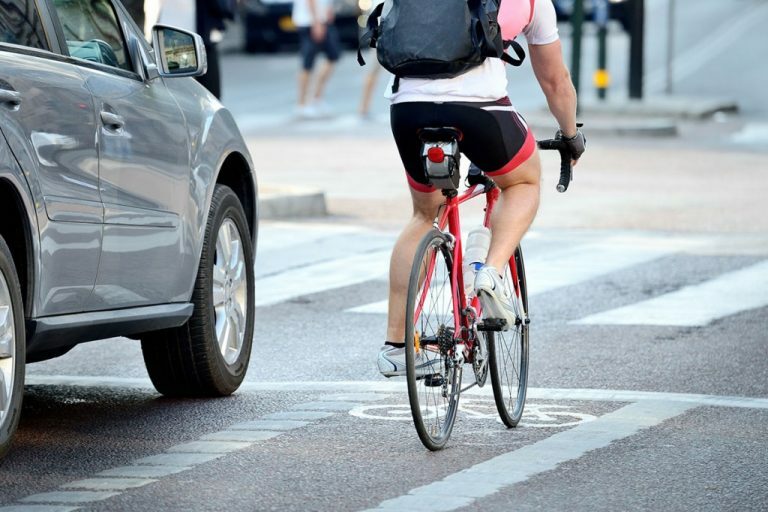 If you see cyclists on the road, make sure you give them plenty of space. 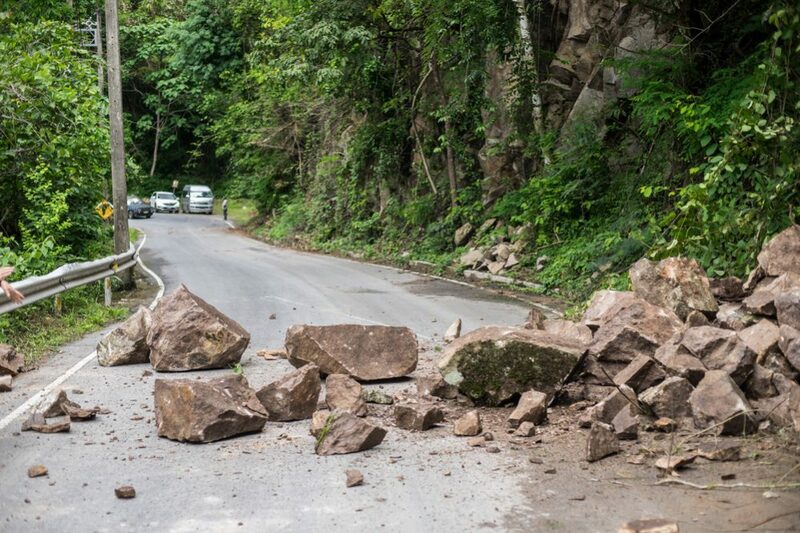 Cyclists can be unpredictable, and sometimes they can swerve without warning. They can also easily fall off their bicycles and into the road if they go over a pothole. If you hit a cyclist while driving at speed, the effects can be devastating. Since you can never be sure what cyclists are going to do, make sure you give them plenty of wobble room. The same goes for motorcycles, so be wary. One of the hardest things can be not be giving in to peer pressure and driving too fast or driving dangerously because your friends are encouraging you. However, you should not allow your friends to affect your driving. Whatever your friends do or say, always drive safely and defensively. You will be the one who looks stupid if you have an accident. And that’s if you’re lucky and nothing more serious happens. The one thing that keeps us all safe on the road is predictability – both our ability to predict what other drivers will do and their ability to predict what we are going to do. Make sure you follow the rules and never do anything unexpected or sudden. That way, we can all stay safe on the roads. Do you have any other tips for safe driving? Or perhaps you have a story about when you first passed your test? If you have something to add, please leave us a message as we love to hear from our readers. And if you found this article useful, please don’t forget to share!